This book is an introduction to the basic operation of PowerShell for Office 365. It covers material that is applicable for Enterprise, Mid-Sized and Small Business Office 365 Plans. 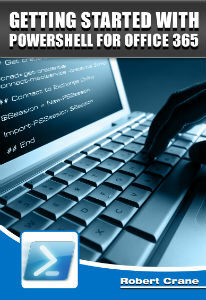 It is not however designed as an in depth PowerShell tutorial or training guide. It is mainly focused on getting you up and running with PowerShell in the Office 365 environment as well as providing some commonly used commands. If you are not yet familiar with PowerShell for Office 365 then this book is for you. The second edition includes information about also connecting to SharePoint Online and Lync Online as well a number of additional commands and scripts.